CITY GUIDE: Go to Cebu and you’ll see Koreans everywhere: in the airports, port, malls or even along the streets. 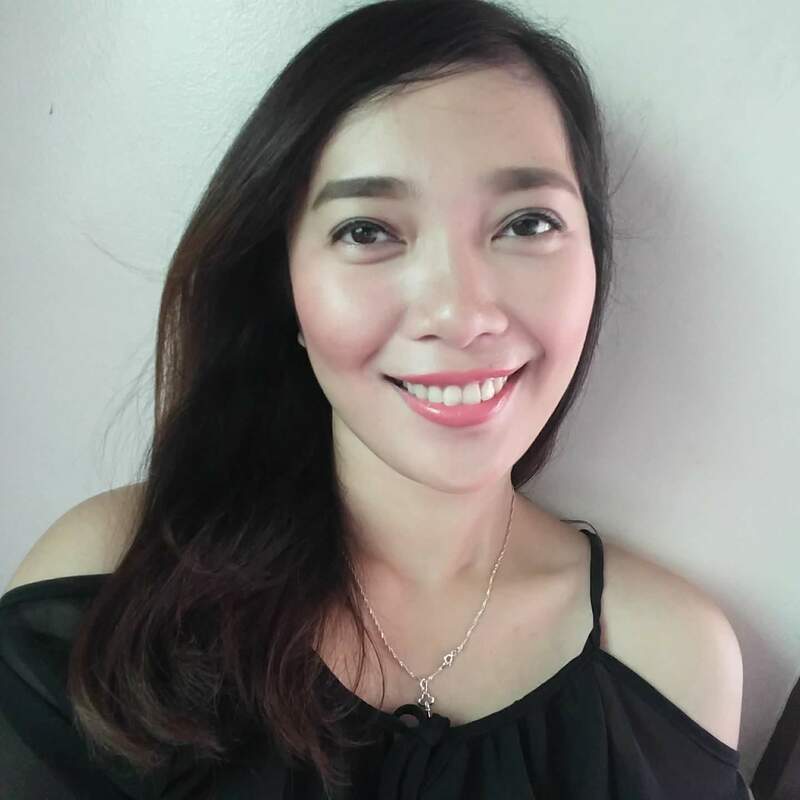 There is this joke from a friend: when you go to Cebu City, Filipinos no longer welcome you. Instead, you’ll see Korean faces. They are the number one tourists in the city. But, why are there so many Koreans in Cebu? 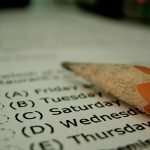 The answer is many of them are attracted to low-cost English education in the country. Most Filipinos are good English speakers, so they go here where learning can be convenient. Aside from that, Cebu City has nice beaches where they can have a “Hawaii-like” experience. No wonder why the number of Korean restaurants here is also growing together with their population. Last night, we went to try this Korean Restaurant to celebrate Dan‘s birthday. It can be so easy to go the same places all the time. However, since it’s her birthday, she decided to try something new. 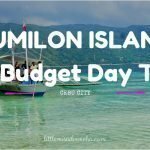 Cebu City has a lot to offer. Just use your friend, Google, and there you go. 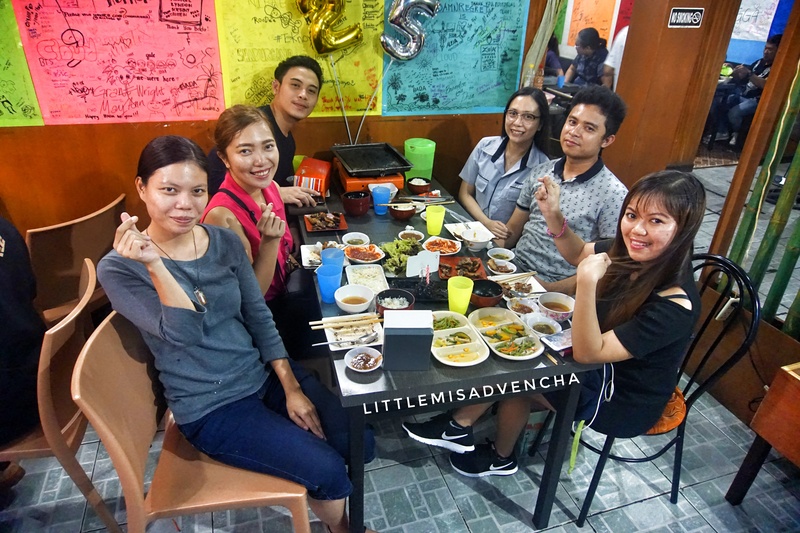 She suggested this place because according to reviews, it is one of the best Korean restaurants that offer CHEAP unlimited samgyeopsal. I am no longer into meat these days. So, why are you there? It’s because the celebrant chose the place. Don’t worry because they are not only limited to serving meat. 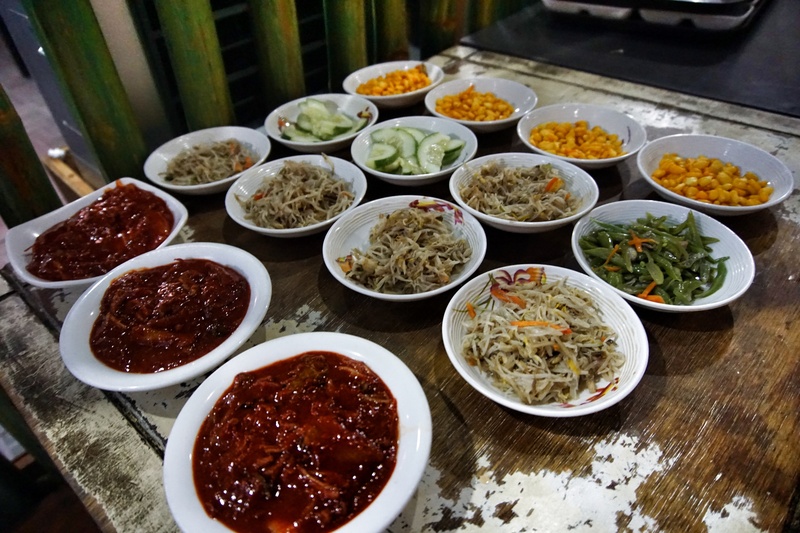 Actually, their kimchi and side dishes were real delicious! 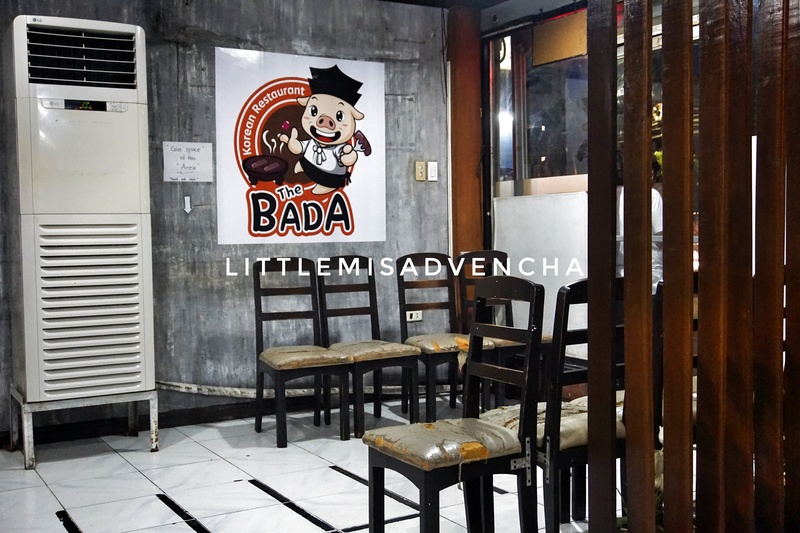 This restaurant is walking distance only from Ayala Center. You’ll never get lost with Google Maps. If you’re coming from SM Cebu, just ride the jeepney 04L, and tell the driver to drop you off at Golden Peak Hotel, which stands just in front of The Bada. It was Friday night. We just walked from Ayala and arrived around early 6 PM. When we reached the place, all tables are occupied. So, we waited for a while. We were lucky because there was no queue yet. We were so much thankful because the queue area got full later that evening that people needed to stand and wait outside. 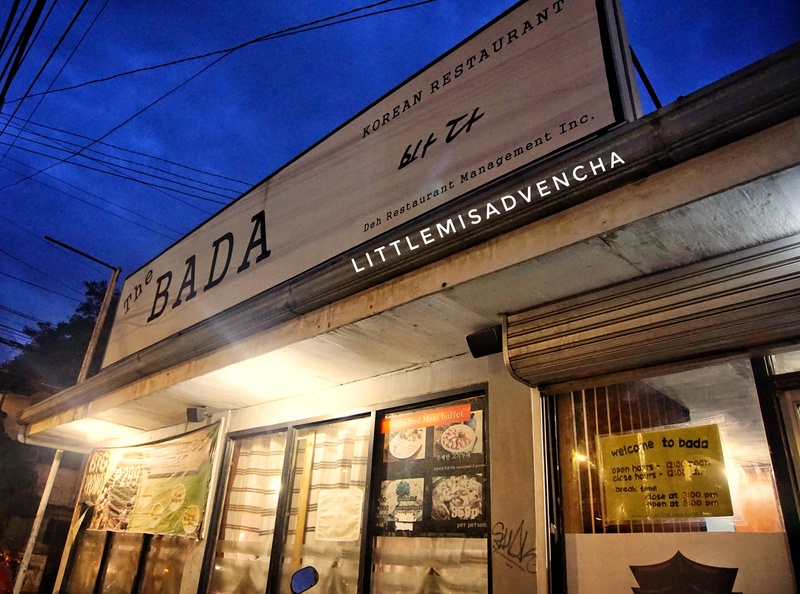 That made us conclude that The Bada is one of the most sought-after Korean restos of Cebuanos. The queue area was empty when we arrived. Lucky us! The building looks outdated from the ceiling to the floor tiles. The walls need to have some repainting done. Some chairs have torn covers that you see the inside foam where dust particles can accumulate. Floor tiles have black electrical tapes. I am not really sure what those tapes are for. When we arrived there, the temperature was still okay. However, when the restaurant was filled with hungry customers and some are still queuing, it got really hot. 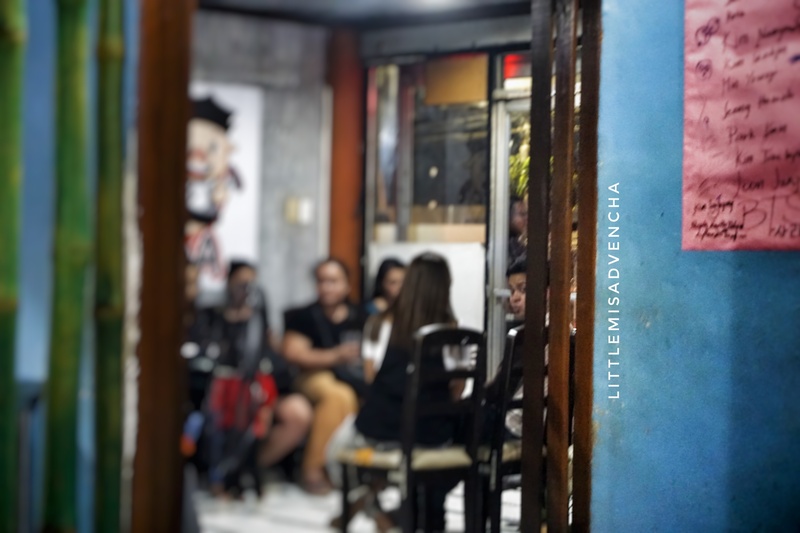 The aircon units and exhaust couldn’t accommodate the entire place plus it got hotter due to steam made by tables of people cooking simultaneously. 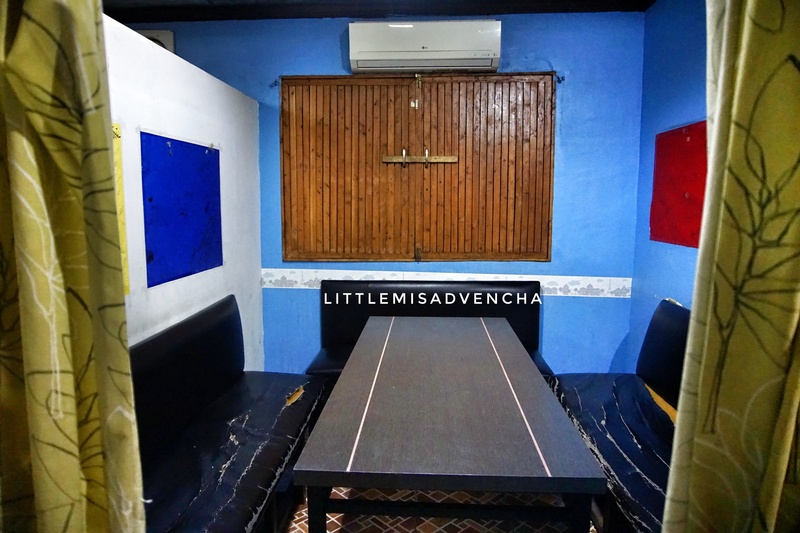 I don’t have a big problem with the interior face because the resto offers unbeatable promos compared to others. The temperature problem is something the management needs to address to make the dining experience a really good one. However, I still commend the restaurant for maintained cleanliness. When I checked the place, IT WAS CLEAN. Customers can also see the staff who are preparing the food. They have areas for small groups. This area is for bigger groups. 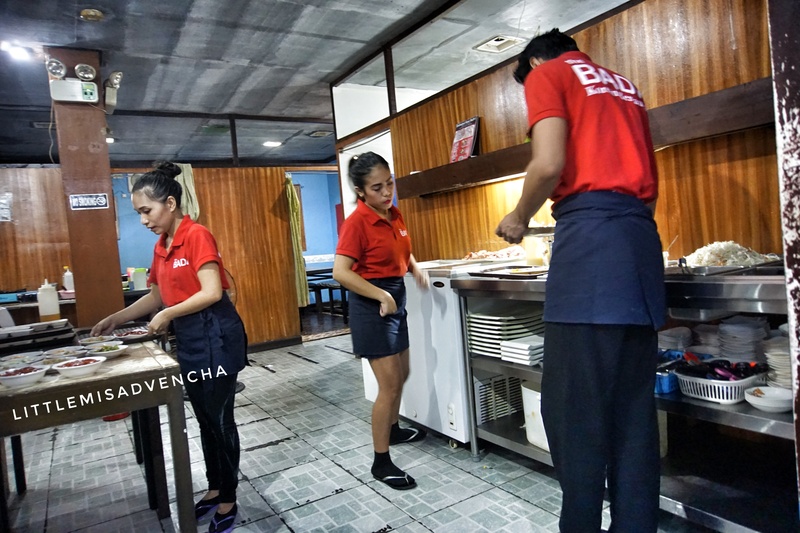 The staff are very accommodating, ensuring fast and quick service They even smile amidst all orders and requests of hungry costumers. The owner was also there. He was very hands on as well. He ensured that everything was in order and all tables were served fast, guiding the servers. I saw him one time he also took an order of a customer. All in all, the service was great! 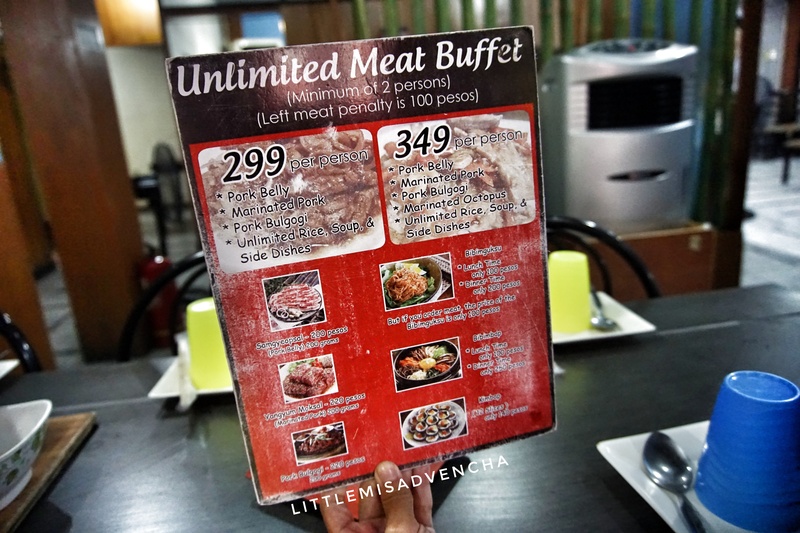 The restaurant was known to offer unlimited meat buffet with unbeatable promo that draws a lot of hungry customers. We availed the P299 per person promo. Truly at P299, it fills your empty stomach with bounty of sliced, minced and cubed meat, paired with kimchi, sesame oil with salt & pepper, miso soup and Korean side dishes – all are unlimited! Kimchi plus some side dishes – ready to be served. April was cooking the meat while waiting for the birthday girl. Oh, how I love their Kimchi – authentic! They offer one of the best Kimchis I’ve tried so far. 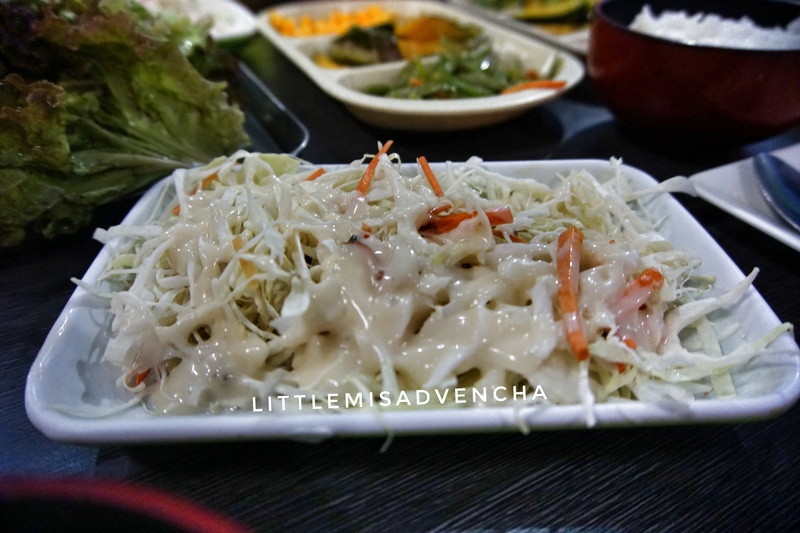 …and this is my favorite side dish – Korean Coleslaw! Here’s Dan teaching how to eat Samgyeopsal. First, pick a piece of lettuce. 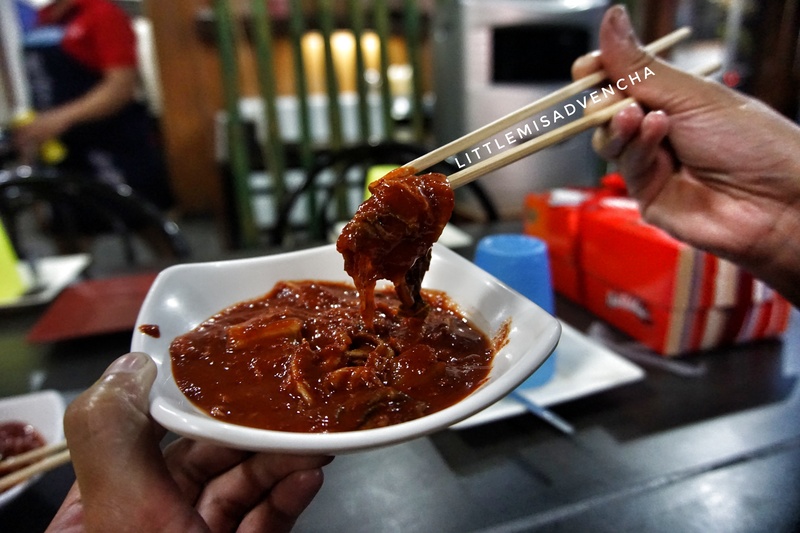 Then, take a piece of cooked meat and drop it in the gireumjang sauce and sesame oil. Then put it on the leaf. Lastly, cover it and eat! Here’s the waiting area while we were eating, not showing the people falling in line outside. Here’s us celebrating Dan’s 25th birthday. 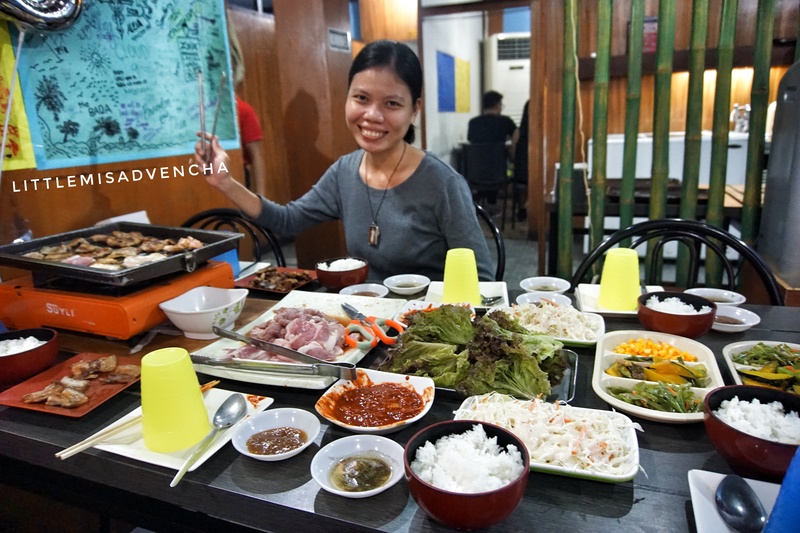 Unlimited Samgyeopsal + Unlimited side dishes + Unlimited rice for only P299.00 = full and contented stomachs! The experience was really worth a try. Go to this place if you want to eat heavy without hurting much your pockets! There is no wonder why people always come back despite negative comments about the place because they offer real good food you can afford. 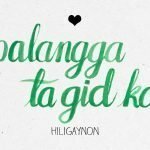 Nagtry din kami dito! Haha. Mayonnaise masyado ang coleslaw but super worth it ang 299. Food looks delicious. I have always wanted to try Korean food specialties but never come across one here in Belgium.